The president we want won’t come easy, so we need to get organized, we need citizens with courage to fight and elect that president that will put the nation first. Recently, I received several emails and telephone calls from people who are sick and tired of our politics, citizens who are disillusioned by government actions and inactions. They accept that President Buhari has performed below expectation but the problem is who will replace him from the multitude of contenders and pretenders jostling for the nation’s number one job? While PDP remains the only viable hope for changing the change, yet many people don’t think the party is seriously offering credible opposition having not taken clear advantage of the disappointing fumbling and wobbling of the Buhari administration. Almost everyone who cares about Nigeria has spoken about the country being in a total mess. The Economist clearly dismissed the economic policy of the administration as unfit. The Financial Times described the economic policies as a disaster. The observation of the Financial Times was closely followed by the analysis of the biggest bank in Europe, the HSBC which warned their investors to pull out of Nigeria to avoid losing their investment. Also the Wall Street Journal, the United State Government, the British government had warned of the dangers posed by the regimes economic policies. In-fact the Wall Street Journal was unambiguous when it stated that President Buhari is the single biggest problem with Nigeria since after the civil war. His divisive policies, his seeming protection of terrorists , protection of corruption within his administration are pointers that the nation is going down the hill under his watch. The 2019 election is a battle that must be fought for the soul of the nation. Like I have written in the past, the election will not be between Christians and Muslims, It will not even be an election between the North versus the South or a fight between PDP versus APC, and it will be a battle of Good versus Evil. There is no arguing the fact that this is the worse government in Nigeria since 1999. It doesn’t matter how you look at it; from the economy, constitutional violations, respect for human rights and rule of law, unity, security and safety of lives and properties, and corruption, Nigerians have not had it so bad. Worse still, is that the president is not listening. He doesn’t just care and has remained rigid by in his way. 2019 we need a president that will do all the things that President Buhari has refused to do with Nigeria. We will need a president that will feel our pulse , a president that will listen, and a president that will recruit the best hands no matter their tongue or tribe. 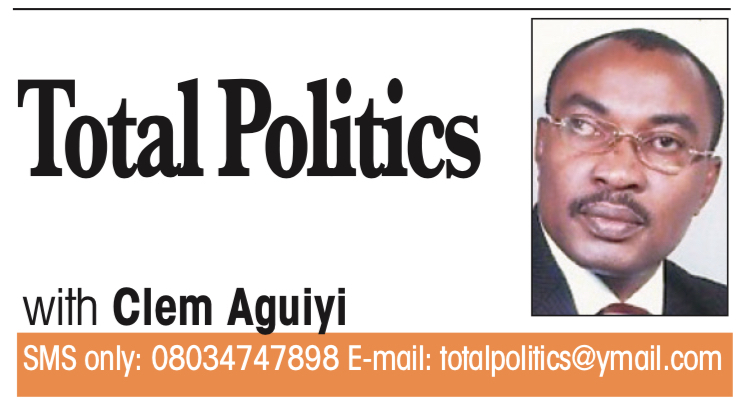 Nigeria has never been polarized or divided the way it is today. We are like a nation at war with itself, torn apart by politics, religion and ethnicity due to the divisive tactics of the government. Nigerians do not trust the government and government agents because they feel people in government are incapable of telling the truth over little things. And until government agents begin to come clean in little things, the people will be justified to doubt them in big things. In 2019, we need a president that will be truthful to us and a keeper of his promises. We need a president that will neither be a Hausa nor Fulani president, a Yoruba president nor an Igbo president, but a Nigeria president loyal to the letters of the constitution and to his oath of office. We need a president with a sense of justice, a president that will inspire confidence, a president that will restore peace in the Delta, Biafra lands, the Benue-Plateau plain and the Lake Chad basin. We need a president that will see all of the country as his constituency not from the narrow and parochial perspective of those who voted or didn’t vote for him. We do not need a president that will preserve the spoils of office for only the people that speak like him, worship like him and dress like him. We need a president with no fixed enemies but a president that will become a unifier. Nigeria has become a killing field. The Fulani herdsmen have murdered thousands of people to the shock of the world yet no one has been brought to justice.We need a president that will protect the people, a president that will hold murderers of our people accountable. We do not need a president that will lecture us about how late Khadafy armed the bandits terrorising Nigeria. We do not need a president that will be telling us about how climate change is fuelling the killings from Lake Chad to Benue or a president that will not stop Sharia in Zamfara but will be desperate to stop the anti-grazing bill in Benue . We do not need a president whose silence emboldens the armed bandits who kill without fear or consequence. We need to elect a president that values human lives more than the lives of cows. We need a president that will ensure that discrimination of citizens on account of their state of origin, ethnicity or religion has no place in our society. We need a president that will defend the rule of law as the bedrock of our democracy, a presidency that will defend our constitution. We have to remember that our kids are watching and need to be mindful of the values and legacy we are impacting on them. We have to show Africa that Nigeria is still a beacon of light and hope for every black man . We need to elect a president that like us believes in the supremacy of the constitution and not a president with contempt for the judiciary and disdain for the rule of law. We need a president that understands that contempt for written law by anyone including the government is an invitation to anarchy. 2019 we need to elect a president that has the capacity to grapple with issues of modern governance , not a false messiah that may profess only courage of character but lacks the capacity to strengthen the institutions of government which must be allowed to operate without interference . Sixteen years ago , we had a government that worked hard to steer us away from the debt burden. We had a president that grew our economy to prosperity. This was before we elected this president that willfully surrendered our economy to poverty. We need a president that will not put us into another debt trap. We need a president that is strong on the economy, a president whose policies will take us back on the path to economic prosperity. We need a president that will bring down the cost of food , a president that will fight corruption from within his own kitchen. We need a president that will lead by example. We need a president that will be alive to his responsibility as President and Commander-in-Chief.